A student who signs up for EMT training in Oklahoma will learn an EMT-Basic curriculum from a state approved program. From there, EMT students will need to successfully graduate before they can take the national registry exams and apply for licensure in Oklahoma. How Do You Become an EMT? · EMT students need to be 18 years old or older. They additionally will need to be able to show evidence of a high school diploma or a GED. · Should have a valid driver’s license. · Must be able to read at a 10th grade level or higher. Potential students are occasionally asked to present placement scores (from tests such as ASSET or COMPASS or ACCUPLACER, which evaluate one’s academic abilities in English, math, and reading). · Should have CPR certification and maintain it over the course of the duration of the program. · EMT students will need to present proof of the following inoculations: Measles, Mumps, Rubella Vaccination/Illness, and Hepatitis B Vaccination Series. You will likely also need the Tdap vaccine to protect against Tetanus, Diphtheria and Petrussis; Chicken Pox (vaccinated 2 shot series or positive titer); a negative Tuberculosis skin PPD test (within the last 12 months); a negative Chest X-ray (within the last 12 months) and a Flu shot (within the last 12 months). · Ought to undergo a drug test and submit to a criminal background check. During the course of an EMT training program in Oklahoma, students will master the necessary skills to provide prehospital emergency medical care at a basic life support level. As soon as the training course is competently finished, students will be able to recognize the significance of a patient’s injury and assess the requirement needed for emergency medical care. Students will additionally learn to carry out proper emergency medical care based on a patient’s problem, as well as lift, position, or transfer a patient to limit pain and defend against additional injury. 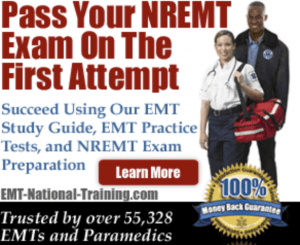 Once you have successfully completed your EMT-Basic course, you will then be able to apply for national certification by taking the NREMT exams. National EMT certification requires students to successfully complete both a cognitive (computer adaptive test) and psychomotor exam (skills test). The NREMT-B practical exam is a state approved exam and will be given through state recognized EMT training programs. One you pass the NREMT exams, you can then apply for Oklahoma licensure. If you have any questions about EMS courses, testing, or licensure, you can contact the Oklahoma State Department of Health.